Debates about religion and politics are often more divisive than illuminating. Secularists point to a “wall of separation between church and state,” while many conservatives act as though the Founding Fathers were apostles in knee britches. As Meacham shows in this brisk narrative, neither extreme has it right. At the heart of the American experiment lies the God of what Benjamin Franklin called “public religion,” a God who invests all human beings with inalienable rights while protecting private religion from government interference. It is a great American balancing act, and it has served us well. Meacham has written and spoken extensively about religion and politics, and he brings historical authority and a sense of hope to the issue. 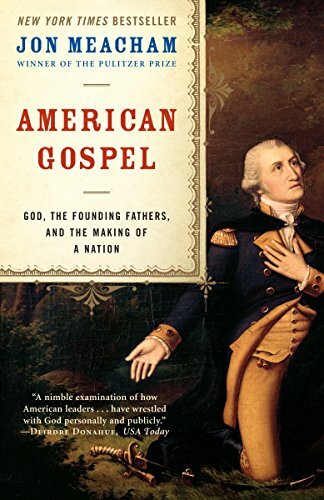 American Gospel makes it compellingly clear that the nation’s best chance of summoning what Lincoln called “the better angels of our nature” lies in recovering the spirit and sense of the Founding. In looking back, we may find the light to lead us forward.